If you missed The Vindication while it was at Theatre Passe Muraille, you have ONE more chance to catch it in Toronto this Saturday, March 31st at 8:30 PM at the Isabelle Bader Theatre. "splendid...Varagic is mesmerizing to watch...visually striking staging... with the help of video designer Bojo Vasic, projection designer Vojin Vasovic and production designer Snezana Pesic"
"a fascinating concept... Varagic gives a wonderfully complex performance, both on stage and in the film. She has a gift that more Canadian actors, male and female, need to learn of saying one thing and suggesting exactly the opposite through subtle use of gesture and tone of voice"
The Vindication of Senyora Clito Mestres was first produced in Canada at the Persephone Theatre, Saskatoon, directed by Tibor Feheregyhazi. Acting credits: Have I None, Not My Story, The Vindication (April Productions) Biography: A Game (Atrium Theatre/rtword), Daughters of Sheherzad (Modern Times Stage Company), The Witch of Edmonton, Scenes From and Execution, and To Damascus (EST), Pauline and Turgenev (GCTC), The Catalan Plays (Persephone Theatre), and Kindertransport (Persephone/WJT). Directing credits: Dantes Divinus (Dalhousie Arts Centre), Not My Story (April Productions/Artword Theatre), Princess T. (Centre for Graduate Studies of Drama, University of Toronto), Snow-White and Her 7-8 Helpers (Solar Stage), Happiness Channel (Toronto Fringe), and Miracles of Make-do (Toronto Fringe). Upcoming projects: directing a Canadian adaptation of a short fable by a Nobel Prize winning author Ivo Andric Aska and the Wolf for April Productions, and a new Canadian play at the Cultural Centre Tivat, Montenegro, for the Canada Culture Days. Dragana Varagic (BA Honours in Acting, Faculty of Dramatic Arts, Belgrade; MA in Drama, University of Toronto; Specialization in Shakespeare, Shakespeare Institute, Birmingham University) has taught acting in the Theatre Programs of Dalhousie University and the University of Windsor and conducted workshops at the Belgrade Faculty of Dramatic Arts and the Royal Holloway College, University of London, England. 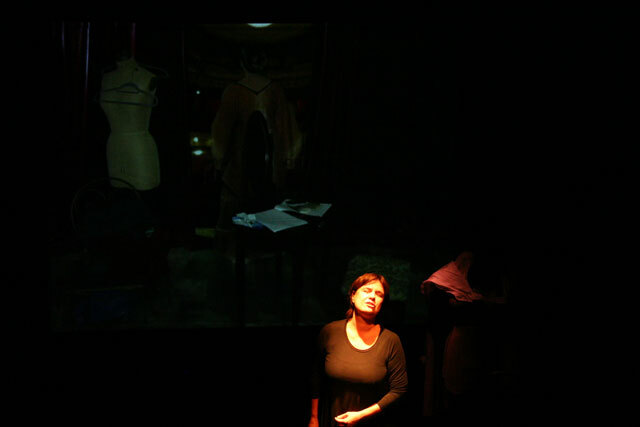 In addition to her Dora nomination for Outstanding Actress for her work in The Vindication, Dragana is also a recipient of major theatre awards in Former Yugoslavia. Snezana is a graduate of the MFA program in Theatre Design at the University of Alberta and the BFA program in Costume Design at the University of Belgrade, Serbia. Born in Belgrade, she is currently based in Toronto and works across Canada as a set, costume and lighting designer. 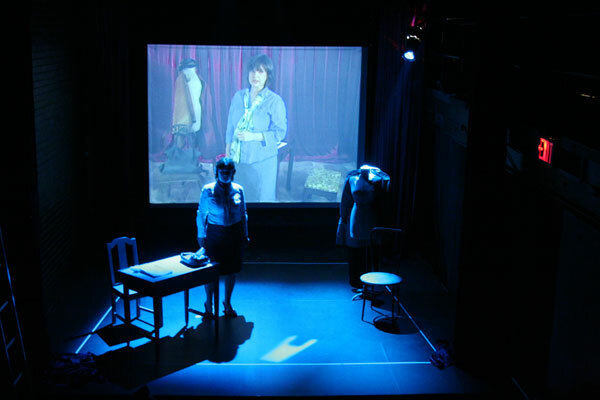 Most recently Snezana assisted on set design for The Small Room at the Top of the Stairs (Tarragon Theatre). Other selected credits include: Production Design for One (Red to Blue Performance/Ghost River Theatre) and The Cherry Orchard (Studio Theatre, U of A); Set and Costume for Three Little Birds and Mighty Carlins (Workshop West Theatre); Costume for The Fan(Odyssey Theatre), Roberto Zucco, Antigone, After the Fall, One Flea Spare (Studio Theatre U of A), and Seussical (Keyano Theatre). Upcoming: Set and Costume for The Game of Love and Chance (Odyssey Theatre). For One, Snezana received Betty Mitchel Award (Calgary 2011) for Outstanding Lighting Design. She exhibited her work on various international exhibits, most significantly at Prague Quadrennial 2007 and 2011 and at World Stage Design Exhibition in South Korea in 2009. Snezana is a member of Associated Designers of Canada. Boja Vasic is a Toronto based media artist and photographer. His work has been shown at the Museum of Contemporary Art of Vojvodina in Serbia, 8th Havana Biennial in Cuba, VI Yugoslav Biennial of Youth Vrsac in Serbia, XIII and XIV International Art Biennial of Vila Nova de Cerveira in Portugal, Third Tirana Biennial in Albania, and at the Liverpool Biennial, Independents in England. His video were shown at festivals in Copenhagen, Amsterdam, Chicago, Denver, Toronto, and he has won several international awards including the Chris Award at the Columbus International Film and Video Festival, a Bronze Medal at New York Festivals, and the Gold Award at Dallas HeSCA Media Festival. Vojin is a theatre and film director. He holds an MA from the Graduate Centre for Study of Drama at the University of Toronto and a BFA in TV&Film directing from the Academy of Arts, Belgrade, Serbia. He has been working in film and experimental theatre since 2002. He is a recipient of several awards for lighting design and directing in theatre (Cyrano De Bergerac, Don Juan, Visit of an Old Lady, etc). His short narrative film Breathtaking and animated film 5 Minutes Each were screened all over the world at many international film festivals and received numerous awards for best direction, best animation and best of the festival. Vojin has just come back from Berlinale Film Festival 2012 in Berlin, Germany - he was an invited participant at the Berlinale Talent Campus where he promoted the screenplay for his first feature film "Kill Yourself for Me". With his Toronto based theatre company Ars Mechanica, he is developing an intermedia performance Show And Tell Alexander Bell, based on the life and inventions of this great Canadian scientist. Sheila has been active in Toronto’s performing arts community since the mid-80’s. She was the administrator for the national service organizations Associated Designers of Canada and The Guild of Canadian Musical Theatre writers, and assisted in producing/coordinating a series of major commercial musical theatre works for Warrack Productions, Bradley/Francis Production, Brian MacDonald Productions and Ron Francis Theatrical Management. She also coordinated tours in North America for Mirvish Productions and the Esprit and SMCQ Orchestras. Since founding Sky Arts Management she has undertaken general management, strategic and logistical planning, marketing, publicity, and fundraising and for Continuum Contemporary Music, Theatre Gargantua, Rasik Arts, Patria Music Theatre Productions. She is currently administrator for Puppetmongers and a Director of membership Services and Communications for Associated Designers of Canada. Sheila holds an Honours BA in French&Dramatic Literature, as well as Masters from the Graduate Centree for the Study of Drama. Recently Sheila participated in the MaRS Centre program for Social Enterpreneurship.